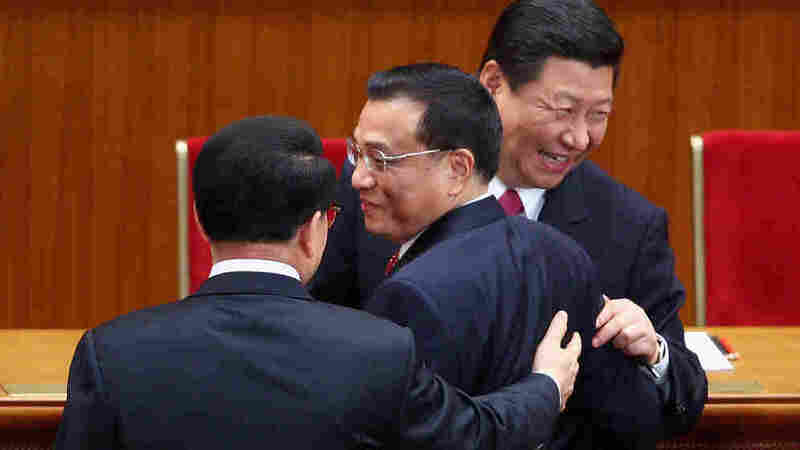 Hopes, Fears Surround China's Transition Of Power The transition of power in China this fall will usher out a generation of engineers and technocrats, and replace them with economists and lawyers who may be less scared of political experimentation. But two distinct factions are emerging, and their biggest challenge will be how to handle changes. China's leader-in-waiting, Xi Jinping, is due to arrive in the U.S. shortly, providing the first glimpse of the next generation to lead the world's second-largest economy. This once-in-a-decade transition of power, which begins this fall, is rife with unpredictability, particularly as an unfolding political scandal grips China. Despite the country's growing prosperity and status, at home the voices of criticism are ever louder. Mass protests — even small-scale revolts against the Communist Party — are becoming more common. In the post-Tiananmen era, China's guiding formula has been economic development without political liberalization. "Reform has gone backward, strengthening the privileged," says liberal political analyst Hu Xingdou. "For private businesses, the situation is getting worse. The rule of law is deteriorating. A decade of stability has allowed development, but it's hard to say if this is short-term [development] preceding a collapse or a real step toward modernization." China's current leaders are mainly technocrats, with a large preponderance of engineers, like President Hu Jintao. Their university education was highly ideological, much of it falling around the time of the Cultural Revolution. If any of them spent time studying overseas, it was likely to have been in the Soviet Union. Because of their educational background in law and political science, they may be less scared of political experimentation or rule of law. That's certainly a hope, but there's also a fear that this generation may also be more nationalistic, more arrogant, maybe sometimes too bold or risk-takers. We don't know. "They are extremely conservative, far more conservative than our generation," says Yang Baikui, a university classmate of the man likely to be China's next premier, Li Keqiang. "They reaped all the benefits of all the political movements. They weren't ever attacked; they were the ones attacking other people," says Yang, a translator who spent time in jail for aiding Tiananmen Square activists. "And until now, they have always been the beneficiaries of communist rule, much more so than those who came before them and those who came after them," he says. The generation of new leaders came of age in very different times. Many of them studied social sciences at university in the 1980s, the most liberal era in modern China, allowing them to become familiar with Western intellectual thought. Most of them have traveled abroad; Xi's daughter is studying at Harvard. According to U.S. diplomatic cables made public by WikiLeaks, Vice President Xi Jinping has specifically mentioned his love of Hollywood movies, specifically Saving Private Ryan. Cheng Li, a senior fellow at the Brookings Institution, says this generation of leaders is "more cosmopolitan." "And also because of their educational background in law and political science, they may be less scared of political experimentation or rule of law," Li continues. "That's certainly a hope, but there's also a fear that this generation may also be more nationalistic, more arrogant, maybe sometimes too bold or risk-takers. We don't know." Among some quarters, there is hope that boldness could mean a willingness to tackle political reform. Some even believe there's a chance the new generation could take on the biggest political taboo of all: the protests in Tiananmen Square in 1989, which were labeled as counterrevolutionary. Chen Ziming, who Beijing determined was the "black hand" behind the student movement and who was sentenced to 13 years in prison, says "there is a possibility the next generation may overturn the verdict on the events of 1989." "It's a good bargain. They lose nothing, but they win points," Chen says. "I don't think it will happen immediately, but they may consider it when they've consolidated their position. With the current leadership, there was no chance. But with the new leadership, there is a chance." Others disagree, saying the incoming leaders have no proven track record as political reformers. Whether they embark on political reform — and how to do so — could well emerge as the defining issue of the next generation. "The dilemma is that the leaders, if they want to open the system, they deal with serious challenges," says Li of the Brookings Institution. "But if they don't want to open the system, they face the possibility of revolution." 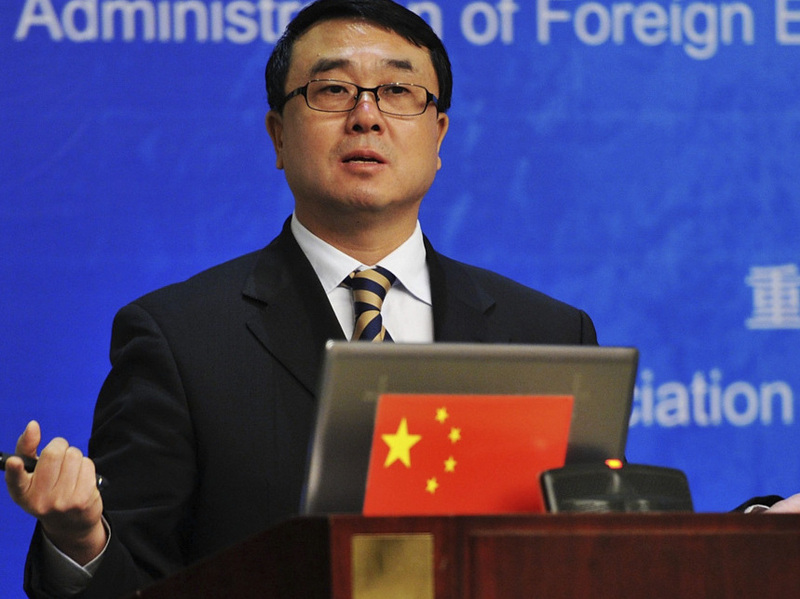 Wang Lijun (shown here in 2009) was recently relieved of his duties as the top policeman in the southern Chinese city of Chongqing and then spent a day at a U.S. consulate, where he was rumored to be seeking asylum. Before his fall from grace, Wang had been a close ally of Bo Xilai, a once-rising star in the Communist Party. Signs Of A New Factional War? Another key question is how much internal unity there really is, given that the Communist Party is splintering into unofficial groupings. Xi Jinping is from the princeling faction — the children of the communist elite. The man tipped to be his premier, Li Keqiang, is from the more populist faction, who hail from humbler backgrounds and may have risen up through the Communist Youth League. Brookings' Li describes the new reality as "one party, two coalitions" — in other words, "populists versus elitists, or Communist Youth League versus princelings" — requiring leadership by consensus. Political analysts frequently cite Japan's Liberal Democratic Party — in which the factionalization has become institutionalized — as an example of how China's Communist Party could develop. "You do see this kind of factional infighting become increasingly transparent, and Chinese society, Chinese intellectual community and Chinese leadership becoming more diversified or pluralistic," says Li. "That's a welcome development, but it also poses serious challenges." However, a political drama currently roiling the country could signal the outbreak of a new factional war. Wang Lijun was a hero and the crime-busting top cop in the southern city of Chongqing — until 10 days ago, when he was reassigned to become a deputy mayor, with duties including overseeing sanitation and public records. Then Wang fled to the U.S. consulate in the southwestern city of Chengdu, and spent an entire day holed up there. At first, the Chongqing government claimed he was on leave, undergoing "vacation-style therapy" for stress. But now the central authorities have announced an investigation. Some speculate that, faced with a corruption investigation, Wang had tried to claim asylum; others hint that he might have been seeking shelter after falling out with his former boss, Bo Xilai, a prominent member of the Communist Party's princeling faction, who was once a contender for a top political spot. A U.S. State Department spokeswoman said Wang had left the consulate of his own volition, although photos from the scene showed a massive Chinese security presence. The events are shaping up to be the scandal of the year — if not the decade — in China, galvanizing the microblogging community in a way that no other political drama has managed to do. The scandal won't affect Xi Jinping's trip to the U.S. But the political impact will reverberate through the next leadership lineup, tainting Bo Xilai by association. The court intrigues once played out behind closed doors have been plunged into the public sphere, complicating an already tricky transition. In an earlier Web version of this story, we referred incorrectly to Brookings Institution scholar Cheng Li as Cheng on second reference. His family name is Li.